The Weigh-In: Mayweather vs. Nasukawa: Who's Next? Pacman or a Bear? Mayweather vs. Nasukawa: Who's Next? Pacman or a Bear? Floyd Mayweather Jr. vs. Manny Pacquiao Part II... Or a Bear Part I? This "bout" caused a lot of people in and around the sport of boxing to wonder who will be Floyd's next opponent? This "interest" was only increased with Manny Pacquiao's decisive victory over Adrien Broner (aka Floyd Mayweather Light/Diet Floyd Mayweather) last weekend. This writer would like to go on the record stating, who cares? At best, we will see Floyd get back in the ring with Manny Pacquiao for the second installment of their "too little, too late" matchup from 2015. At worst, we will see Floyd step into the ring with a bear... 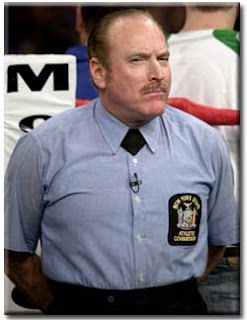 Sorry Not Sorry, Chuck Wepner (we still love you, big guy!). 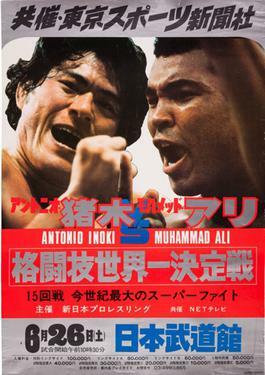 Muhammad Ali vs. Antonio Inoki Part II? 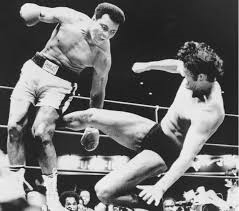 All I could think of the entire fight was this gem featuring two legends... One from the world of boxing, the other from the world of professional wrestling... Muhammad Ali vs. Antonio Inoki. The only difference between these two "fights" was one pair of men didn't walk away with millions of dollars each!